Most memorable moment(s): Negative Visualization: What's the Worst That Can Happen? 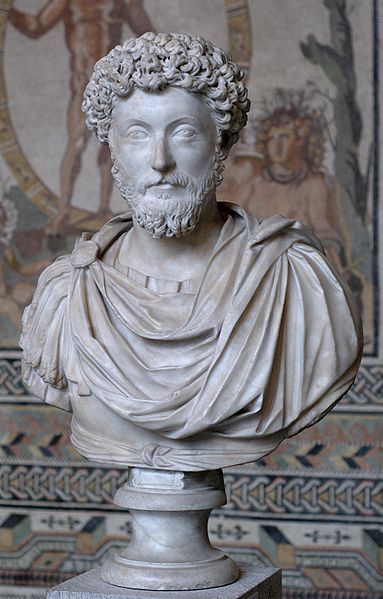 Marcus Aurelius (Latin: Marcus Aurelius Antoninus Augustus; 26 April 121 – 17 March 180 AD), was Roman Emperor from 161 to 180 AD. He ruled with Lucius Verus as co-emperor from 161 until Verus’ death in 169. 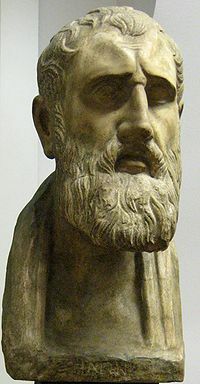 He was the last of the “Five Good Emperors”, and is also considered one of the most important Stoic philosophers. During his reign, the Empire defeated a revitalized Parthian Empire; Aurelius’ general Avidius Cassius sacked the capital Ctesiphon in 164. Aurelius fought the Marcomanni, Quadi, and Sarmatians with success during the Marcomannic Wars, but the threat of the Germanic tribes began to represent a troubling reality for the Empire. A revolt in the East led by Avidius Cassius failed to gain momentum and was suppressed immediately. 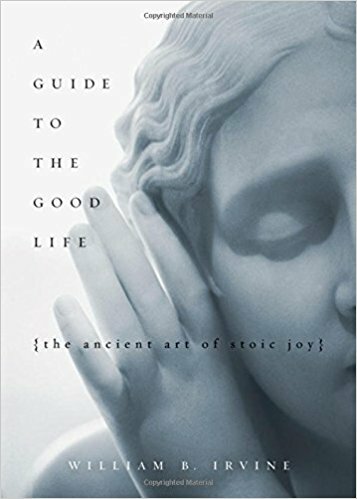 Marcus Aurelius’ Stoic tome Meditations, written in Greek while on campaign between 170 and 180, is still revered as a literary monument to a philosophy of service and duty, describing how to find and preserve equanimity in the midst of conflict by following nature as a source of guidance and inspiration. 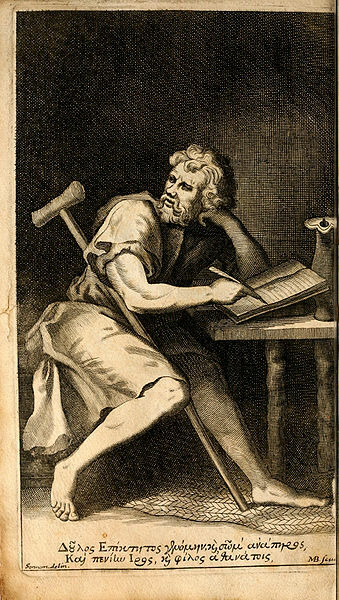 Epictetus (Greek: Ἐπίκτητος; AD 55 – AD 135) was a Greek sage and Stoic philosopher. He was born a slave at Hierapolis, Phrygia (present day Pamukkale, Turkey), and lived in Rome until banishment when he went to Nicopolis in northwestern Greece where he lived the rest of his life. His teachings were noted down and published by his pupil Arrian in his Discourses. 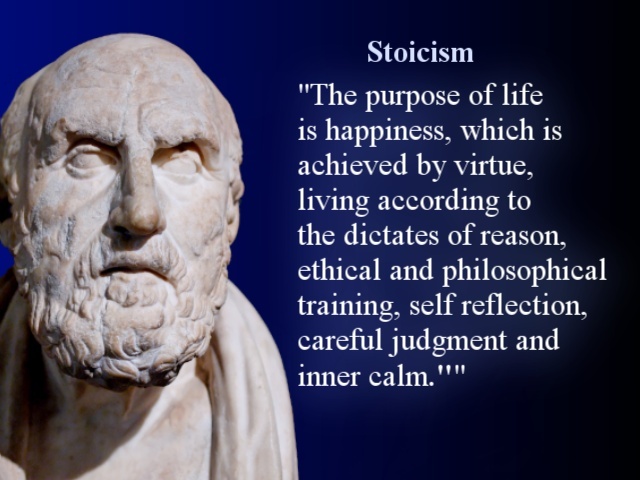 Philosophy, Epictetus taught, is a way of life and not just a theoretical discipline. To Epictetus, all external events are determined by fate, and are thus beyond our control, but we can accept whatever happens calmly and dispassionately. Individuals, however, are responsible for their own actions, which they can examine and control through rigorous self-discipline. Suffering arises from trying to control what is uncontrollable, or from neglecting what is within our power. As part of the universal city that is the universe, human beings have a duty to care for all fellow humans. The person who follows these precepts will achieve happiness and peace of mind. Some things are up to us and some are not up to us. 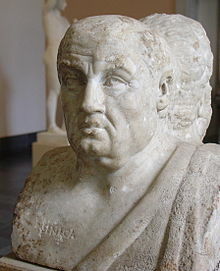 Lucius Annaeus Seneca (often known simply as Seneca; ca. 4 BC – 65 AD) was a Roman Stoic philosopher, statesman, dramatist, and in one work humorist, of the Silver Age of Latin literature. He was tutor and later advisor to emperor Nero. While he was later forced to commit suicide for alleged complicity in the Pisonian conspiracy to assassinate Nero, the last of the Julio-Claudian emperors, he may have been innocent. His father was Seneca the Elder and his elder brother was Gallio. It’s not hard to find the truth. What is hard is not to run away from it once you have found it. A man’s as miserable as he thinks he is.